A surveillance video shows that Will Smith initially hit the car of the man who then murdered him in an act of road rage. The surveillance shows Smith’s car bumping into a Hummer. While the hummer’s driver, identified as Cardell Hayes, pulled to the right side of the road, Smith just drove around it and continued on his way. Hayes became enraged that Smith didn’t stop and started to pursue Smith with his Hummer. Hayes then caught up with Smith’s car and rear ended him, sending Smith’s car crashing into a third vehicle. As Smith stepped out of his vehicle words were exchanged before gunfire erupted. 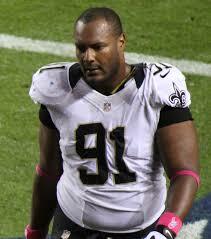 The former Saints player died of multiple gunshots, allegedly fired by Hayes. His wife only suffered personal injury as she was struck twice in the leg. Another senseless act which illustrates the consequences of carrying a gun by people who are not mentally stable. A taxi jumped a curb yesterday in New York City at Rockefeller Center stricking a British tourist and severing her left leg and severely injuring the other. Her foot was recovered at the scene and doctors at Bellevue Hospital tried in vain to reattach it. The 24-year-old cab driver, Faysal Kabir Mohammad Himon of Queens lost the control of his car during a road-rage duel with a bike messenger. Himon who has a hack license but wasn’t authorized to drive the cab had a history of negligent driving. He was previously involved in a car accident injuring one person in 2010 and had many traffic violation on his record.